A friend recently asked me for advice on wines to drink during summer as the heat bears down. She had enjoyed several rosés but was looking for a way to spruce up her experience beyond pink. Her favorite chardonnay seemed a bit plodding in the hot weather, and cabernet just seemed so autumnal, she said. And she wanted something to serve guests at an upcoming patio party. Start your evening — and welcome your guests — with something simple. My favorite is a port tonic, which can be mixed in about as much time as it takes to pull a cork. Popular throughout Portugal, it’s essentially a riff on gin and tonic, with lower alcohol. Just pour one part white port and two parts tonic water over ice and garnish with your favorite citrus fruit. My favorite garnishes are a slice of lime and a sprig of mint. A highball glass is traditional in Portugal, but you can use a tumbler instead. The tonic and citrus provide a refreshing foil for the white port and help invigorate your palate for the meal to come. Vinho verde, another Portuguese classic, is ideal for hot weather. It’s lower in alcohol than most wines and is often spritzy with carbonation for extra refreshment. And it’s usually cheap — often less than $10 a bottle — making it a potential competitor for rosé, which has crept up in price as it has soared in popularity. German Riesling, especially from the Mosel region, and fresh, young Austrian gruner veltliner are excellent choices when the mercury soars. And they are exceptionally friendly with a wide variety of foods, including meats. Don’t give up on the wines you love to drink, though. If chardonnay is your white of choice, look for racier, unoaked versions, such as Macon-Villages from France. And there are any number of New World chardonnays fermented and aged in stainless steel or concrete. Ask your retailer to recommend a few. We need to get away from the idea that red wine should be served at room temperature. That’s especially true in the summer. Serving it cooler brings out its fruit and often helps the wine taste more balanced. We routinely chill some lighter-style reds — lambrusco, Beaujolais and barbera, for example. 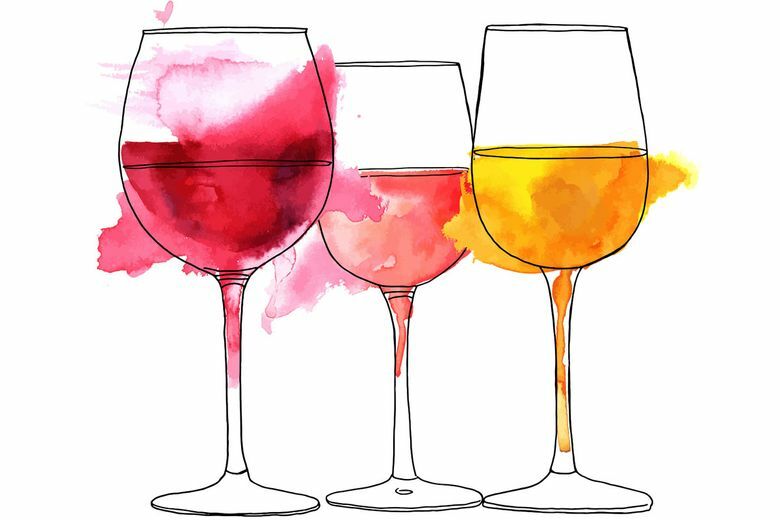 These versatile wines are great for summer fare. But cabernet, merlot, zinfandel and other heftier wines also benefit from some time in the refrigerator door, an ice bucket or one of those chiller sleeves you keep in your freezer. If you forget about it and the wine gets too cold, don’t worry. It will warm up. Taste it while it does, and you will see how the wine changes with the temperature. After all, you have nothing to lose except your summer wine doldrums.